There are so many things that a family can do together right here in Michigan and one of my favorites is Michigan’s Adventure. It’s an amazing amusement park and just like they advertise it really is two great parks for the price of one! My family spent the day there a couple of weekends ago from the time they opened until… well, I’d like to say when they closed but we got fed up with the on and off rain and finally headed out about an hour before they closed. 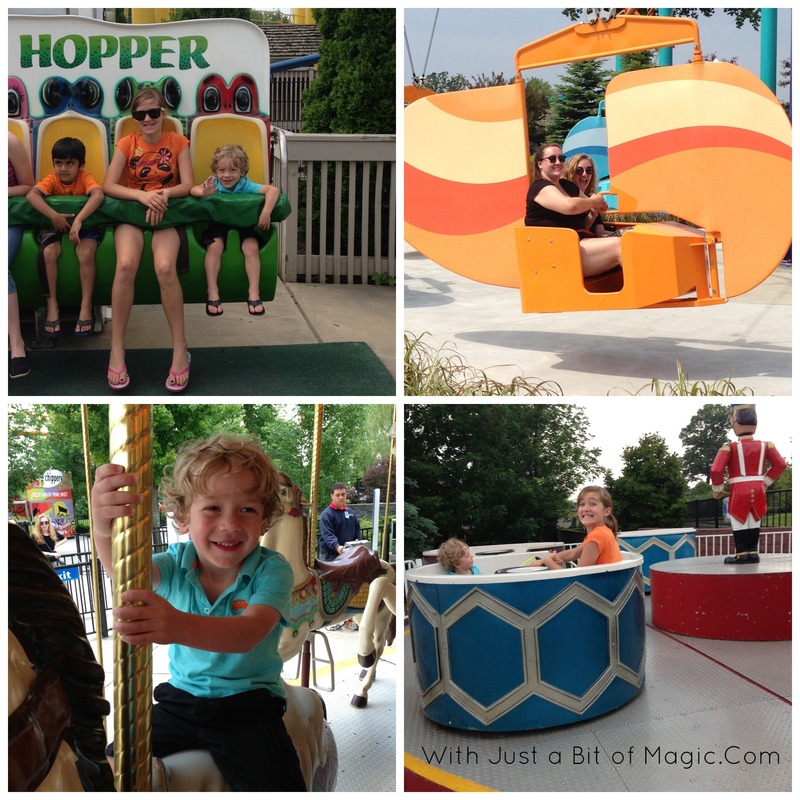 Honestly, we took all the kids… from toddler to teen… and there was something for everyone from the coasters, to the Lakeside Gliders, Frog Hopper, and carousel. We went from ride to ride without long waits in lines and enjoyed every one of them. Wait… that might be a bit of a stretch because Natalie decided to ride the coaster, Shivering Timbers (Annually voted one of the top 10 wooden roller coasters in the world byAmusement Today readers. ), instead of sitting out with her brother like she did for the last coaster. She’s not a big fan of them and this one was fast and had constant ups and downs some huge hills… she refused to ride another coaster the rest of the day. Okay, two parks in one. Are you wondering what that’s all about? For one low cost, $29 for adults, you get the amusement park AND the incredible water park! There are 3 wave pools, lazy river, various kids play areas, and something like 7 different water slides and these neat little cabanas that you can rent for the day. They cabanas are perfect because they have their own tables, chairs, little tent for shade, and you get to for the day. You can drop your stuff there and head out to do what you want and not worry about it because you have to have a special wrist band to get in. I am a little sad that we didn’t get to meet Snoopy or Charlie Brown… but we were able to get the prerequisite picture of the kids with the Snoopy outside of the gift shop (which they were so happy to pose for). I think that you could make a weekend out of Michigan’s Adventure and visiting the beaches & lighthouses on the west side of the state. As a matter of fact we’re talking about going back again and spending the day there soon. To save money though we’ll pack our lunch and head out to car when we’re hungry because they stamp your hand so you can get back in later! What’s one of your favorite home state places to visit? I’m linking up with Seven Clown Circus and Dude Mom so you could all learn about this awesome park and maybe consider visiting it (and maybe me)! 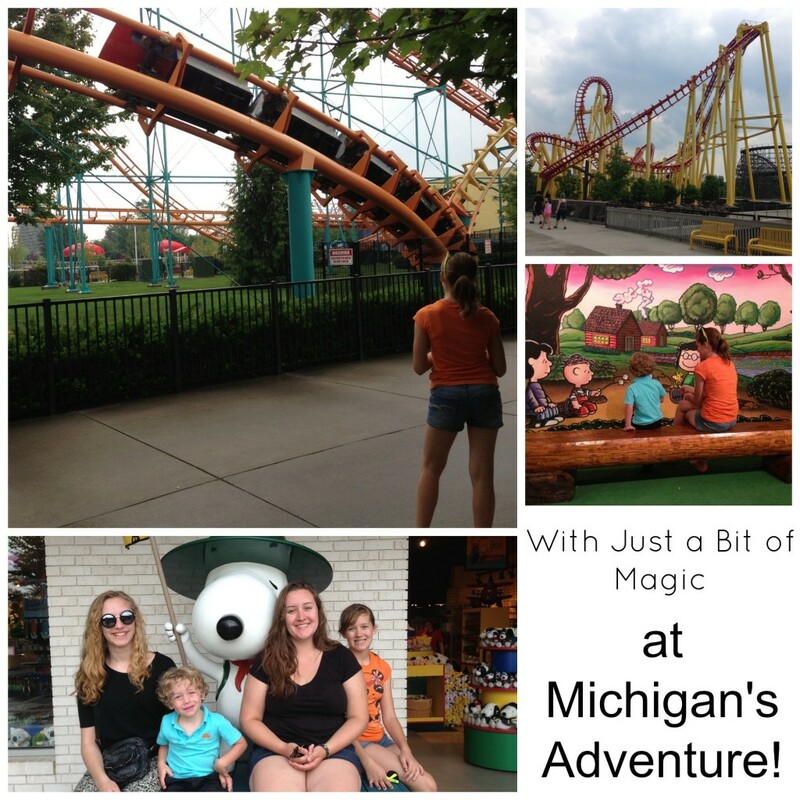 Disclosure: Michigan’s Adventure provided me and my family with tickets to the park and lunch but we really did love the park. As always all thoughts & opinions are my own.